Rather shop from your couch? Here are some options for home-delivered groceries. Amazon Prime Now began delivering to the Milwaukee area in 2017. Only a fraction of Amazon’s wares are available for delivery, many of which are grocery items. All Sendik’s Food Markets. Fees based on the size of the order and delivery location may apply. Call Koppa’s Fulbeli Deli (414-273-1273) and the store will send a “handsome delivery man or woman” to the steps of your home, with your grocery items in tow. Delivery to East Side, Downtown and part of the North Shore. This story is part of The Epicure’s Guide to Milwaukee feature in our March, 2015 issue. Click to read the rest of the guide. 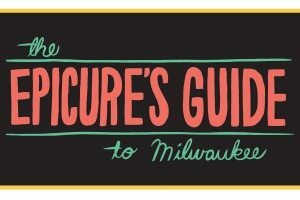 ‘The Epicure’s Guide to Milwaukee’ is the cover story for the March, 2015, issue of Milwaukee Magazine.